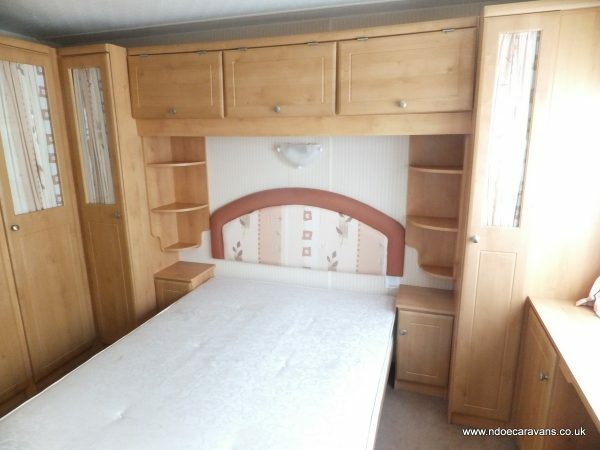 A little gem of a home here, with masses of fitted storage space in the master bedroom. 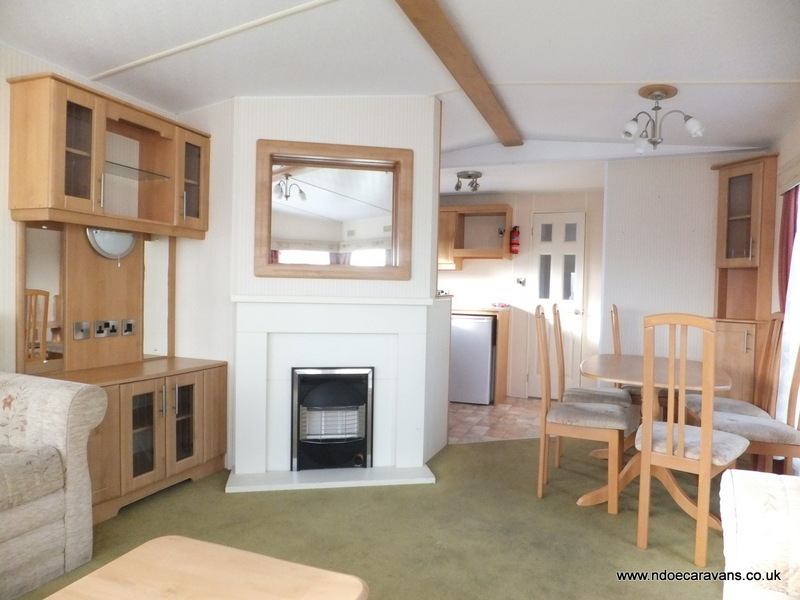 Pitched roof with lounge vaulted ceiling, crisp white contemporary fire surround and C shaped lounge seating, leading to open plan dining area. 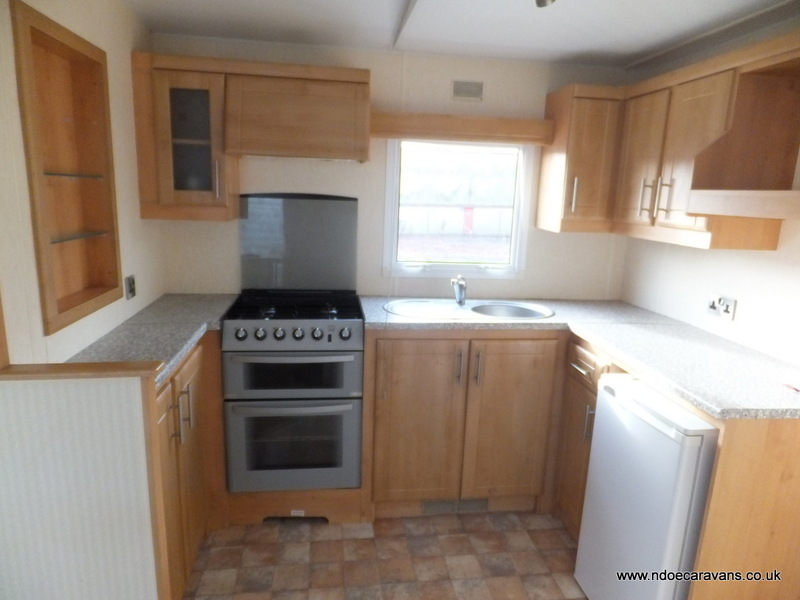 Also nice sized oven with separate grill, surrounded by a good size worktop area . 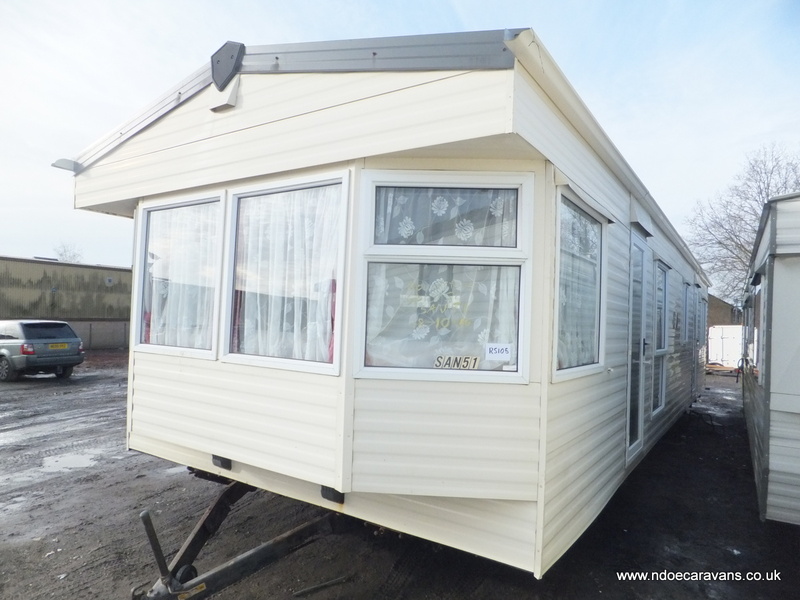 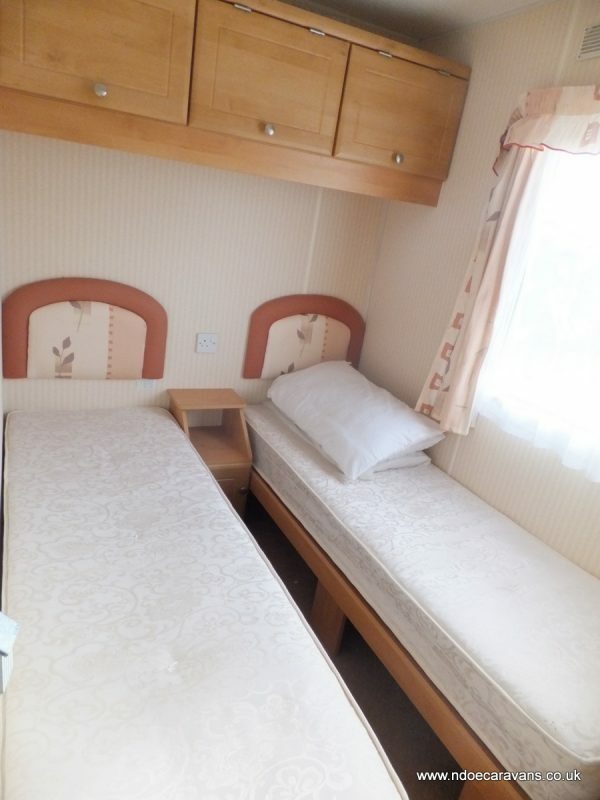 This is a circa 2006 model and its 37X12 2 bedroom layout, gives plenty of living space. 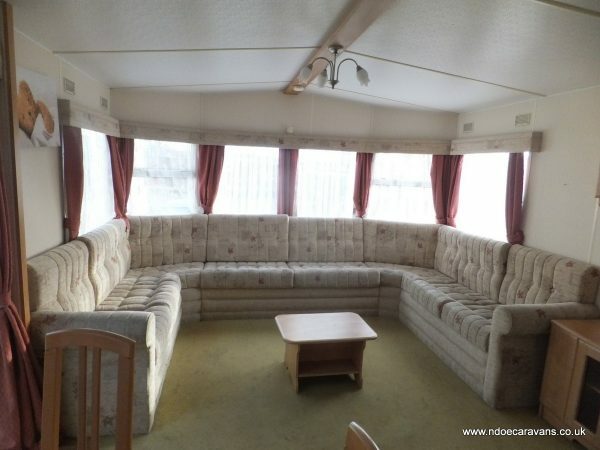 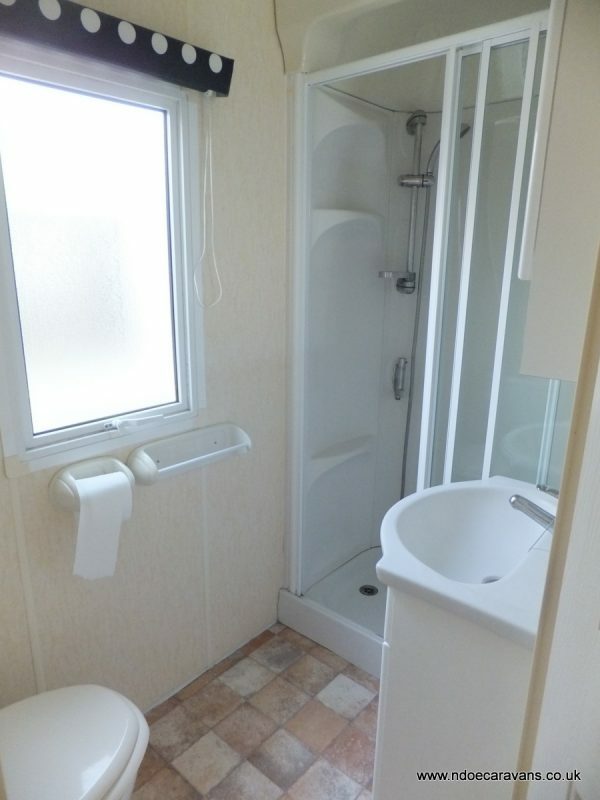 Another great value used static caravans brought to you by N Doe Caravans.